The Cardinals have acquired right fielder Jason Heyward and right-hander Jordan Walden from the Braves in exchange for righty Shelby Miller and pitching prospect Tyrell Jenkins, the teams announced. A blockbuster in every sense of the word, the Cardinals will acquire one of the game’s most valuable outfielders in Heyward and an excellent setup man in Walden. Heyward just turned 25 in August yet already has five full Major League seasons under his belt. His offensive game hasn’t developed to the superstar level that many had expected, though he still owns a lifetime .262/.351/.429 batting line. His .269/.335/.479 batting line and 27 homers in 2012 give an idea of the power upside that Heyward brings to the table, however. Where Heyward truly shines, however, is with the glove, as evidenced by career UZR and DRS marks of +74.1 and +97, respectively (UZR/150 pegs him at +17.6). That excellent glove paired with a solid bat has led Heyward to be valued at 4.3 fWAR and 4.9 rWAR per season throughout his career. There’s little doubt that Heyward is an MVP-caliber talent, although to realize that potential he would likely need to return to his 2012 form at the plate while maintaining his stellar defensive work. Heyward is only under control for one more season and will earn $7.8MM in 2015, but Walden is a bit more of a long-term asset for the Cardinals, as he can be controlled through the 2016 season. Projected to earn $3MM in 2015, the 27-year-old Walden posted a 2.88 ERA with 11.2 K/9, 4.9 BB/9 and a 45.2 percent ground-ball rate for the Braves last season. Armed with a fastball that averages roughly 96 mph, he should give manager Mike Matheny yet another hard-throwing option to pair with the likes of Trevor Rosenthal at the end of the St. Louis bullpen. In Miller, the Braves have acquired at least four years of control over a high-upside arm that looked to be on the verge of stardom for much of 2013 before a rough finish to the season and a step backwards in 2014. Miller frequented top prospect lists for his entire minor league career after being selected 19th overall in 2009, with Baseball America ranking him as highly as sixth in the game heading into the 2013 campaign. That season, he posted a brilliant 3.06 ERA with 8.8 K/9, 3.0 BB/9 and a 38.4 percent ground-ball rate in 173 1/3 innings. He saw his strikeouts dip late in the season though and was curiously a non-factor in the 2013 playoffs, leading many to speculate that he was either injured or simply out of gas after posting a career-high in innings pitched. Miller maintained his velocity in 2014, but he displayed some signs of control issues that caused his ERA to jump to 3.74 (while FIP and SIERA pegged him at 4.54 and 4.60, respectively). For one, Miller’s BB/9 rate jumped to 3.6. But looking beyond that, his first-pitch strike rate dropped about two percent, and his opponent contact rate for pitches in the strike zone jumped from 85.6 percent to 90 percent, suggesting that he struggled to command the ball within the zone. Nonetheless, Miller’s upside is sky-high, and the Braves had a clear need in the rotation with both Ervin Santana and Aaron Harang hitting the free agent market. Both Kris Medlen and Brandon Beachy are recovering from their second Tommy John surgery, leaving Atlanta with Julio Teheran, Mike Minor and Alex Wood as rotation candidates, perhaps along with swingman David Hale. Jenkins, 22, isn’t simply a throw-in for the Braves, either. The Cards drafted Jenkins 50th overall in 2010, and the right-hander cracked BA’s Top 100 prospect list following the 2011 season — ranking 94th. Touted for his off-the-charts athleticism, Jenkins has seen his prospect star dim a bit since that time due to shoulder surgery, though he did return midway through 2014 and post a 3.28 ERA in 74 innings in the Class-A Advanced Florida State League. BA ranked him 17th among Cardinals prospects heading into 2014, noting that his fastball sits 93-96 mph when healthy and adding that he features an improved curveball as well. The trade fills a need for both clubs, although the circumstances in which St. Louis came to have a need for a right fielder are of course tragic. It’s been difficult and felt inappropriate at times to look at the tragic death of Oscar Taveras and his girlfriend through a baseball lens, but many have wondered if is untimely loss would lead the Cardinals to look outside the organization for outfield help. MLBTR’s Charlie Wilmoth noted in his Offseason Outlook for the Cards that such measures could be necessary, and the path that the team has taken will improve the team in 2015, even if the trade is unfortunately linked to tragedy. idk what the braves are thinking here. I like it as a Braves fan. 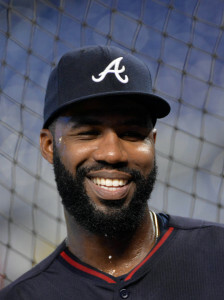 Heyward was good — he’s not as bad as his hater might say — but I don’t think he was long in Atlanta anyway, and his bat just hasn’t come around like we hoped. Getting a young controllable starter is a better return than I expected. heyward is the best rfer in baseball. atl has lost its mind if thats all they got. 5.1 war last season, 6.3 two years before. gold gloves, fielding bible award, his bat still has upside, and hes only 25. yea, the case can definitely be made. We need pitching and offense and we don’t have many valuable assets. JHey, when he signed his 2-year deal to avoid arbitration, was essentially given a 2-year period to prove himself worthy of Freeman-like money, because ATL has in the backend. We WANTED him to have it, but he needed to earn it, and by his offense, he hasn’t. This lineup hasn’t found a spot for him, mostly because Fredi lacks consistency and creativity, but when you factor that in, JHey’s output wasn’t worth what is presumed asking price will be. He’s just not. By getting a young pitcher with a massive upside and another in a similar circumstance that is unproven at the MLB level, we’ve filled a need. WAR is an overrated statistic. Agreed. Heyward’s defense is fantastic though. Saving runs is just as important as creating them. No, WAR is a cumulative stat so it cant be overrated, its the UZR/defensive metric portion of WAR that you have beef with. Yeah. We should just use wins for pitchers and RBI for hitters. Those are much better. Exactly. WAR is the MOST overrated statistic in recent history. 1 year of Heyward vs 4 years of Miller. Many teams do this with guys in walk-years. Stanton, Braun…now the case has been made… I would take kemp in 2015 over Heyward. Best rf in baseball…haha. Smh. Get outta here with that. It’s hard to name a better defensive RF. Stanton could be in the argument for overall but not much else. Argument?! Get outta here. Stanton is 40x better than Heyward. Are you seriously going to try to say that any defensive metric is even close to accurate? After next year you will have some actual defensive measures that are accurate, but UZR and DRS are not even in the ballpark until you get above 450 games played. Even the guys that developed both metrics will tell you that. he was not using a defensive metric. war is not the same, plus he’s talking about 5 years worth of data. The Fangraphs measure of defense is of unknown value. I’d say little, but its an emotional – and tedious – subject. home runs are great, but heyward is the better overall player. atl’s pitching is going to take a hit by missing out on those 32 drs. heyward pretty consistently eliminates xbh better than anyone. shelby miller every 5th day isnt going to make up for that. And is it today trade/free-agent-signing/waivers/TRANSACTIONS deadline? They could still make significant moves, considering that Justin Upton is in his final contract year. So, the fact that it appears that Atlanta’s offense has decreased today is irrelevant because there still are 4-5 months to boost the offense for the future. This trade conditions next transactions. …so that makes i ok to make bad trades? 4 years of Miller plus 6 years of Jenkins for 1 year of Heyward and 2 years of Walden doesn’t seem bad for me. Teheran, Minor, Wood, Miller seems like a pretty solid group of starters to me. And they are all very young. sure, but 4 yrs of a #3 isn’t really all that special. Why is he a #3 starter for you? 3.33 ERA, 7.6 K/9, 26 W, 3.3 BB/9 in 69 career starts before turning 24 is pretty special. David Price before turning 24 seemed like a 5th starter guy according to the same standards (4.42 ERA). That’s actually not all that impressive these days. It’s definitely above average, but it’s not exactly hard to find a pitcher that can put up those numbers anymore. Hard to justify giving up a 5-6 WAR RFer for that. I wouldn’t say I’m shocked they traded him, just at how little they got back for someone that’s been among the most productive players since he came on the scene. There are only 12 players at ANY position that have been more productive than Heyward has since 2010. Most productive players? Defensively yes, but ofensively I would totally call him below average. I’m talking about WAR, which measure contributions on both sides of the ball. So, in terms of playing the game of baseball, there just aren’t very players that are better than Jason Heyward. Yes, but like in Heyward’s case, his WAR is inflated by his top of the league defense. That is why a player with a great offense and average defense (Trout) or a player with great defense and average offense (Heyward) will always have higher WAR than a slightly above average in both categories. WAR is pretty inaccurate and over-appreciated in my opinion. and you can’t pretend defense isn’t part of baseball. we’re talking about more than just rbi’s and dingers. all contributions on the field count towards the outcome of the game. I’d guess that he’s saying the measure of defense is variable and unknown. ah, but its not. imperfect, yes, but relevant over very large sample sizes. we also can’t pretend that defense is what makes up the bulk of WAR, because it isn’t. it’s a component, but if you’re looking at combined WAR over 5 years, its significant, and worth placing heavy weight on. Its accuracy over large sample sizes is completely unknown. I’m not pretending it is not part of baseball (where did you get that from?) i’m just saying that great defense or offense inflates WAR unfairly. Nevertheless this conversation is useless because Atlanta didn’t have a choice; Heyward was going to test free agency and with very high demands. You don’t seem to taking into account how expensive “average” starting pitching is. Mediocre SP’s get 8-12 mil per year on the open market. 4 years of Miller at pre-FA price is pretty valuable, especially when you compare that to A) only one year of Heyward and B) Heyward is going to get $200 million as a FA, which we definitely cannot afford. actually, i really was just hoping they wouldve gotten a position prospect. atl practically grows pitchers on trees it seems, but they never seem to have many bats in the system. they dont like to spend money to keep players most of the time, so it wouldve been nice to see a bat coming over. honestly, more than anything im just tired of being let down in pretty much every way possible by this team. i dont blame heyward for wanting to test the waters, but man watching players leave and watching the team fail to meet expectations is really getting old. I totally agree with your 2nd paragraph, it is disappointing that we even have to be constrained into moves like this. I agree that he’s underrated as a player in general, and that his defense matters a lot. A run saved is a run saved, doesn’t matter if it’s in RF or not. (I was hoping they’d just play him in center every day, since he was OK there). We should be playing him everyday then trying to re-sign him in the offseason, and we might even be doing so were it not for the BJ Upton signing. At least we got rid of the man responsible for that deal. That said Jon Hart (and most pundits I’ve seen), say that the Braves are strong in the lower minors, but rate poorly in the upper minors P-wise. As terrible as our hitting was last year, we need pitching too. I do agree that we need some pitching pretty badly. You mean a pitcher who is only a year removed from a top three finish for rookie of the year? or a few years removed from being one of the top 30 prospects in baseball where almost ever ranking had him classified as a potential front of the rotation starter? yea, those prospect rankings only mean so much, though, and arms like miller aren’t uncommon anymore. heyward is. miller’s not a bad player, though. just wish they couldve gotten more. He is a number 1 if his command reforms. Bad trade? Let’s be objective here. Will ATL be able to re-sign him? No. So will they contend in 2015? Very unlikely with him. So if it’s presumed that his value drops every game played, we would have needed to get another pitcher we won’t with Miller, and have almost $8MM to reallocate, what’s the problem? Sorry your Heyward jersey is worth nothing, but the team is bigger than any one player, and this benefits the team both now and going forward. dont have a heyward jersey and the team is actually what i’m worried about, not the player for the players sake. He is a RF. Its the area of the field the LEAST balls go to. Really, how much is that defense worth? Not enough to make up the difference between his offense and Stanton’s offense. or Bautista’s offense. Or Pence’s offense. Or Puig’s overall game. Sorry. Its not a question about who any GM in the game would want in their OF. I’d love to hear your basis for believing that defense in right field has so little value. The last time I looked right fielders field about as many balls as left fielders. And since they have to make the long throw to third base, their arm strength is more critical. Also there is plenty of evidence to suggest that defense is a critical part of understanding a player’s value, even in corner positions. A run is a run whether you prevent it or score it. Sign Torii Hunter to play RF and you will see how much defense is worth! I’d say Lorenzo Cain is better if he is going to move to RF full time this season. Sorry I just read “defensive”. Heyward has a solid glove, but as a overall right fielder? Not even top 10. What is this crazy talk about valuing defense over offense in the corner OF spots? If that were the case, the Cardinals would have just started Borjous in CF and Jay in RF. He’s right. Defense isn’t needed in the corners like it is in center. Heyward is a good player with upside but, several years of Shelby Miller is better than one year of Heyward. Miller has a lot of upside too. As I responded below, Joey Bats is the only RFer who has accumulated more value than Heyward since ’10. Yes however, most of it has comes on defence. A Corner OFer who provides excellent hitting skills is better than a glove wizard at that position. A teams needs offence too, as well as pitching. Your prime defensive positions are CF, SS, and C. Everybody else should hit at an above average rate. Not saying Heyward doesn’t, but his value isn’t as high as Bautista’s, or Adam Jones, etc. Like I said, getting a cost-controlled pitcher with great upside, along with another pitching prospect is a good return for a glove wizard, average hitting Heyward, and a erratic middle reliever. They’re getting Jordan Walden, not a middle reliever… and none of that changes the fact that Heyward is an impact player that got shipped off for a mid-rotation starter. Quite serious. Corner spots (RF, LF, 1B, 3B) are places where you can sacrifice speed and defense for offense. I don’t think it’s a bad trade per say but the notion that the Cardinals “clearly won” this trade is quite overblown. I very much doubt the Cardinals acquired him for his defensive ability. Jose Bautista is the only Rfer that has been more valuable than Heyward since his rookie season in 2010… and Bautista is now 34. Valuable in terms of WAR and those neurotic defensive metrics that assume baseball is played in cyberspace. The fact is Heyward is a slightly above average hitter at best who gets his WAR inflated for catching pop flies. The guy was a .730 OPS hitter last year and in terms of his WAR and the history of the award vs WAR, he should have been a legitimate MVP contender, which is absurd to think about. You don’t have a very good grasp of WAR. I’m not trying to be rude, but that’s not how it works. There are some good places that show you the internal workings of the stat. It’s not flawless, but over large sample sizes, it’s one of the single most useful stats you can use. I guess we’ll have to agree to disagree. What I don’t have a very good grasp of is people who take WAR as the end all be all to player value and when anyone challenges it, they just accuse them of not understanding. never meant to hurt anyone’s feelings, but if someone is going to talk to me about the stat, and they don’t understand what they’re talking about, im not going to lie to them. there’s no point in that. it wouldn’t help anyone. Thanks for proving what I said to be true. glad i could make you feel better. sorry you got so upset. If its incorporating inaccuracies or flaws as you say, then a larger sample size likely won’t lead to increased accuracy. Stanton is the best Hitting RF in the majors. JHey is the standard for defense in RF, considering RF is where you place your team-worst defender in the NL, typically. Not always of course. I support tar and feathering for anyone suggesting DH in the NL. Gird your loins man, or I guess warm up the tar bucket and pluck the birds because its coming. I agree. The NL is the ONLY place where the pitcher bats. On EVERY level, there is a DH. Time to change NL! And the NL is the only baseball worth watching. Time to change the AL. I understand. It is hard to change. But progress marches on. The DH has extended many careers and is not going away. It is only a matter of time. I disagree, only due to the majority of batters being right-handed. that is not the case, though. google mlb spray charts and filter for all hitters. Nope. Stanton is very, very close, though. Except for a guy named Stanton and a guy named Puig and a guy named Jose Bautista I would say you might be right. Also have to include a couple of other guys like Werth and Pence. Hey, number 5 or 6 is nothing to sneeze at. Defensively he is the best RF, but that is like saying you are the best backup QB. Most starting CF would be about the best RF in the league. Certainly not the best RF overall. nope. bats is the only one, actually. stanton and pence are close behind. Offensively, which includes baserunning, Fangraphs has Heyward rated ninth among qualifying right fielders. So even if the defensive metrics aren’t 100% accurate that’s his floor in terms of ranking. Overall he’s rated fourth based on including UZR defense along with offense. Splitting the difference he’s sixth or seventh. He’s likely to be worth quite a bit more than Miller who pitched like a replacement player last year, but there is the time of team control which is way in the Braves’ favor. If they can fix him they can win the trade. I would still take the Cards’ end on this deal. he has more rings, at least he can say that. Agreed….I’m not sure what the Braves gain from this trade. Miller struggled most of the 2014 season before turning it on in his final 5 September starts. As for Jenkins, Yes, he was a former Top 100 prospect, but his K/9 rate as a starter has plummeted into the low 5’s during his time in Advanced A ball. There must be some serious concerns that Kris Medlen and Brandon Beachy may not be 100% when they get back from their respective surgeries. The move will give the Braves a young 2015 rotation of Teheran, Minor, Miller, Beachy, and Medlen. 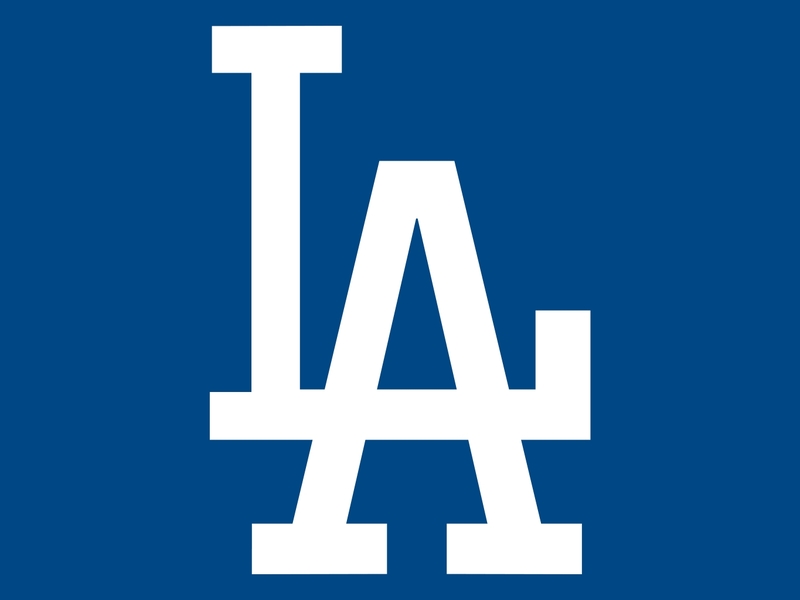 As for the Cardinals….I love the deal for them. The Cardinals organization is stocked with young talented arms that can easily replace Miller (i.e. Carlos Martinez). Heyward is one of the best defensive OF’ers in baseball with a solid bat capable of adding 5+ wins per season. Also Walden is no traditional throw in, he’s been one of the toughest right handed relievers in baseball over the past two seasons holding opponents to a .186 batting average. Any starter coming off 2 TJ’s is a major concern as it is rare to have any have the same relative success they did prior to the 2nd. Lots of 1 TJ’s come back, not very many have come back from 2 so pitching was a definite need. 4 years of Miller for a guy that was walking after this year is a better return than a compensation pick and seeing us miss the playoffs again this year. Nearly 40 pitchers with 2 TJ have come back, most have been relievers to start with. Only 2 have come back to be starters. Keep in mind Heyward is one year away from FA and he wants 150+ million. Exactly. Having a constant controlled, young arm with upside for a few, cost controlled years is better than one year of Heyward. If anything, they can now try to extend Upton, and go after a cheap OFer. The Cardinals have money and Holliday will be off the payroll soon. So this is good timing for them. I don’t think the Cardinals have much interest in extending Heyward. Holliday is still under contract for two more years plus an option year that has a good chance at being picked up at this point. Heyward is more of a stopgap until either Grichuk or Piscotty is ready to take over RF [or Grichuk takes over CF if Jay walks (pun not intended) after the 2016 season]. Thats a lot of faith to put into those two guys….and I’m not buying it. That was a lot to give up just for a stop gap. They Cards will extend him. You forgot our best pitcher last year, Alex Wood. your right….missed him….That makes the move even more puzzling though…..You already had 5 young controllable arms to compete with the Mets and the Nationals younger staffs. But now your team hitting is even weaker than the weak line-up the Mets were rolling out in September games. You can’t rely on Medlen or Beachy coming off their SECOND Tommy John, so we absolutely needed another SP or two, but trading Heyward out of the possible 3 (including Gattis and J. Upton) that would have netted a good MLB ready SP was the least desirable outcome, IMO. Serious concerns….it’s their 2nd TJ surgery! If 3.74 ERA is struggling for a 23 year old starter with a power arm, then sign me up for 5 of them. We love Shelby, but he has been inconsistent. Same as how the Braves have been unhappy with Heyward not achieving full offensive potential. He’s 23. He’s not been in the league long enough to be considered inconsistent. 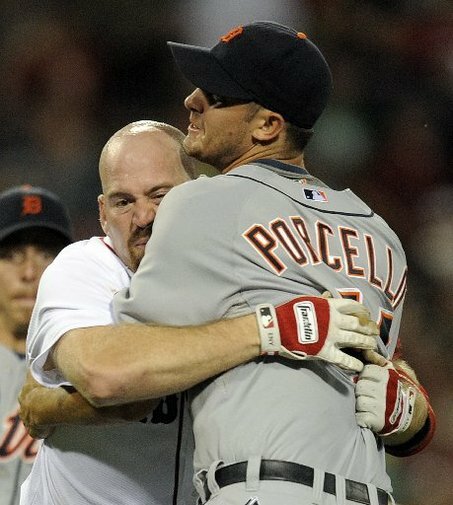 Watched the same complaints about Rick Porcello in Detroit. Now he’s 26 and he’s looking polished. Most 23 yr olds are still in the minors. Miller got bailed out a bunch of times…..A 4.54 xFIP is not very good. Expect those ratios to improve now that he’s figured out his curveball. Besides, FIP and xFIP have a major inherent flaw anyway, as they fail to account for ground ball and line drive rates. You fail to notice why Miller turned it on in late August and September, which was mainly due to an increased use of a much improved curveball. You’re getting a very good young pitcher here. I think this deal could be very good for both sides. The Braves should just completely blow it up now. With Heyward, you were good enough to contend. You aren’t without him. They might as well sell Justin Upton off as well. It’s not difficult. The Braves’ aspirations of contention in 2014 were a mirage, and they’re working with an eye on 2017 in the post-Wren era. Miller comes with at least 4 years control, whereas there was zero chance of Heyward re-signing after 2015. It’s a value extraction in a year that’s likely a partial rebuild. Not too hard to understand. Unless he’s awful this year, Hayward is going to get a huge ton of money this offseason. The Braves don’t have that money and won’t until they move into their new stadium. In exchange, they get two controllable SPs who could really help them rebuild their rotation. Shelby Miller has outstanding stuff. If he sorts out his control this is a nice deal for Atlanta. I’m not going to pretend giving up Heyward won’t be tough, but this will fix the rotation. That is nasty if everyone returns to form. WOW. Big trade. Really like this trade for the Cardinals given their pitching depth, ability to develop young pitchers, and the unfortunate loss of Oscar Tavares. Do they have pitching depth? Seems like they made a lot of moves for starters at the break this year. It does seem the depth has diminished. Marco Gonzalez and Carlos Martinez are now really important pices as well as someone like Tyler Lyons who will be needed to spot start. It’s still strong, they can always make a few minor signings as well. I am of the opinion that they should try Carlos Martinez as a starter sooner than later. Well, unless he’s beaten out by Marco Gonzalez. It’ll be a fun battle to watch in Spring Training. Still plenty of depth, Miller and Gonzalez are ready to start right now. Cooney probably could as well. Down the line a few years got some more good prospects coming up in Kaminsky and Reyes. Cards are going to be in the market for a starter now, probably targeting a tier II guy like Liriano or Santana. I doubt it, cards have Jaime Garcia, Carlos Martinez and Marco Gonzalez all as potential 5th starters. Garcia cannot and should not be seen as a reliable option. The guy is more than likely finished. His arm has went the way of Mark Mulder. And really there are more than 3 options for 5th starter. What I am saying is that Garcia isn’t even reliable to be an option at this point. Don’t even anticipate him being ready or healthy for ST. I see him being Mulder part deux. His arm is going to fall off at this point and he wont stay healthy. Cards will be in the market for a right fielder next year, too. Grichuk and Piscotty say otherwise. There’s a reason they went with a one year stopgap. Thats a lot to give up for just a stop gap. They Cards will intend to extend Heyward, otherwise this was a bad trade for the Cards because Grichuk will never be more than a 4th OFer. Piscotty can hit for average, but this isn’t the 1980 Cards, we need power and Piscotty will never have power. Awesome day! Cards get the better end I think. I have to assume he will re-sign. St Louis is a good place to play, and apparently Mike Matheny is a player’s manager. Heyward is a Boras client. He will go thru Free Agency. Hot Stove is smoking right now. Wow. should braves like this trade? Probably a mid rotation starter at best. Cards win this trade easily. A starting OF with only one year left in his contract and zero chances of extension before htiting FA. He also was reported to be asking for a “4th batter” price when he isn’t one. Atlanta got 4 years of Shelby Miller and 6 years of MLB’s 94 prospect in 2012 and 2013. Also, Jenkins had a solid 2014 in A+. You’re also losing the QO comp pick, which probably make Jenkins at best a wash.
Miller (3 years more after next season) and Jenkins (five years more after next season) > QO comp pick. What does “4th batter” price mean? It means that Heyward was asking (according to David O’Brien or Mark Bowman, i don’t remember) for “4th batter money”, like he was a proven power hitter and Braves see him like a 1st batter with average power. They had different visions of his role and potential. Would have rather had the QO pick then Jenkins…..guys K/9 rate has dipped all the way down to 5.0 in Advanced A. Probably has something to do with the shoulder surgery he just came back from. Premium pitching prospects should at least be in the 9.0+ range at that level. No….I said I would rather have the QO then Jenkins. Smoltz is the outlier….not the rule. Miller is a good strong arm to have but pitching was not the Braves weakness in 2014, making contact with the baseball was. The club already had 5 young controllable arms in their rotation for 2015. If anything I would have traded Heyward for hitting prospects. The Braves had the 5th worst average in baseball, the 5th worst K rate, and scored the 2nd fewest runs in baseball. Plus there’s no guarantee that they will be able to sign Upton to a contract extension either. But Atlanta got Miller too instead of the QO, not just Jenkins. Remember Miller is under team control until the end of 2018 season. I agree that Atlanta must boost his offense but remember this trade is just the first, my guess is that they will continue to rebuild the team and specially their offense. Well you kind of made a case for Jenkins. As you stated he just came back from shoulder surgery. Give him a full year and then we can talk about where his K/9 should be. If I were you I would, I really feel like Miller turned the corner at the end of the year. Miller was inconsistent for most of the year but he was finally living up to his potential. If it makes you feel better as a Cards fan I feel we gave up too much. i do like miller what about jenkins? it keeps not approving my comments. There is a good writeup on Jenkins the other day at stltoday. Jenkins is another guy who has turned the corner. He has number 2 starter potential, drafted in 2010 but has taken forever, he’s finally putting it together. I’d expect him to be in AA this year. Agree… As a Braves fan and a Cardinal fan (my wife and location have made them my 2nd team), this is a win-win. Braves needed a young, controllable starter with #2 potential to go with Teheran (#1 potential) and Minor (#2-3 potential). Long time to tell if it will be a win for the Braves regarding Jenkins but this fills an immediate need for STL in right plus the lefty bat. Those that are just casual fans will think it is a steal for the Cardinals as it gives them immediate help versus the long-term help it provides the Braves. Given Heyward’s absurd asking price for an extension when he hits free agency and Atlanta’s re-building plans in 2015 and probably 2016, this seems as a good deal. I thought they would receive more, though. And if you thought Heyward’s asking price was absurd, Upton is going to be in a position to ask for $200M+ …. Not sure what Braves do about OF moving forward. That is the difference! Upton IS in the position to ask for that money; Heyward is not. I prefer 7 years of Justin Upton with a 20MM$ salary than 7 years of Heyward with a 18 MM$ salary. My guess is that he will get traded too or he will get extended but i’m pretty confident that he won’t start 2015 in Atlanta with only one year left on his contract. I could see the cards comfortably giving heyward 7 at 18 if that’s what he costs. I’m the first person to question WAR, but Heyward has accumulated more WAR in 5 years than Justin Upton has in 8 years. Why do you feel Upton is so much better than Heyward? Because in my opinion Justin Upton is more constant. He is very streaky, i know, but Heyward gets injured a lot and has not reached his potential. He is totally umpredictable, which can be seen with his different stats in each year. One year it looks like he is a 3rd hitter, another year he looks like a 1st hitter. I wanted the Braves to deal Heyward first because it was reported that he wasn’t going to sign an extension before being a FA and his asking price was really high. Even with his great defense, he is not worth that much money. Perhaps Upton’s year-end numbers are more constant. But he can have a streaky way of getting there. His May and especially June slump really torpedoed the Atlanta season. I agree! And I would add September too. If they can get a good return from him then great! But between Heyward and Upton i prefer to give an extension to Upton. P.S: Heyward had slumps too in April (205 AVG), June (250) and September (239). He seemed to be streaky as Upton, too. Very good trade for St. Louis, given the tragic death of Tavares. I could see Heyward being very good in St. Louis. Young offense is more valuable than pitching atm and Miller is good, but not great. Don’t like this move for ATL. Their fans won’t be happy. Walden is also no slouch. Young offense that would have been gone next year either way. 4 years of a quality pitcher is a long-term improvement. Forgot Heyward only had a year left on his deal not 2 when I posted this, still not too fond of the deal. Unless, it signals a large Braves rebuild. Maybe not ‘large’. At this point they know they don’t have the offense to compete in 2015. They made a poor 2014 offense even worse. Braves pitching was great last year. I agree, but the offseason lasts 4 more months. If you’re looking for offense, Heyward isn’t your guy. He’s been very underwhelming the last two years for a guy with his skills and athleticism. I like this trade. But I really hope the Cardinals can extend Heyward. I like this trade if Heyward can at least stabilize the slide in his OPS the last two years. His glove alone isn’t worth it; Grichuk would be good enough defensively in RF. Whether Heyward is affordable for 2016 is going to be based on his offensive production, not a GG. Why? He probably isn’t worth what he’ll be asking, and we’ve got Grichuk and Piscotty ready to take over. Part of what I like about this deal is that it’s only a stopgap that doesn’t block the kids for too long. And let the offseason begin!! Woah, today’s moves are blowing my mind. Braves probably could’ve gotten more, but this is HUGE for the Cards. WOW I didn’t see this coming. Miller might end up being a frontline starter. And his production is equivalent to that of a #3 right now. You never trade a starting 5 WAR outfielder for a number 3 starter. that is just bad business. The Braves are banking on Miller developing overtime. Not as outrageous as you think. Miller regressed quite a bit in 2014. Hopefully the Braves get 2013 Miller or it’s not even close. I guess you do if that OF is one year from free agency and you can re-sign your other very good OF that is in the same contract position. Bottom line: they need an Upton extension or this is a disaster. You do when most of his WAR value is defensive, and he’s under contract for only one more year. yeah, but besides that. you NEVER do. besides that of course. Miller has never reached 200 innings, at best he’s a #4 back end starter. To be fair, he’s only pitched two full seasons in the big leagues. Lots of guys (Felix is one) hit their 200 in year three. that is true. typically, in a pitcher’s development, the ability to consistently go deep into games is one of the last things they get under control. Number 5 starter? Seriously? Look again. well he was our number 5 starter, but he has the potential to be a number 2. As a cardinals fan I personally feel we gave up too much. It’s not as bad as you braves fans are making it out to be. You didn’t give up too much. You gave up too little. Miller’s career WAR is 2.9, last year it was 0.2 in a season where he threw the most amount of innings (183). At best a #3 pitcher. you make the mistaken assumption that he’s only as good as he was last year. He’s a guy on the way up. The key with Miller is look how he was pitching at the end of the year. Miller really turned a corner. This was a very good move for the Braves. As I said, they could have gotten more elsewhere. I mentioned this elsewhere, but maybe the Mariners would have given up Walker for Heyward. You braves fans have really over valued Heyward. You’re crazy to think the Ms would have given up Walker for 1 year of Heyward. And if they really could have gotten that deal, don’t you think John Hart would have made that trade? I’m a Braves fan? That’s news to me. Who is to say he even talked to the M’s? Everyone was saying the Rays could have gotten much more for Price than they did, and it’s true. You also apparently don’t know how weak the Mariners are in the OF. I’m sorry but to give up talent, you have to get talent. Walker is unproven, Heyward is not. I’m not saying it’s a move the M’s would say Yes to but I think they’d consider it. ok well assumed you were by thinking the braves could get Walker for Heyward. Underrated how and by whom? That can’t be the entire package going to Atlanta. If it is there is no way Atlanta wins this deal unless Jenkins turns into an ace. Granted, small sample size, and young for the league (ish), but I’d have to call Jenkins pretty fringy as a “prospect”. He’s had several years to figure it out and turning 22 this summer in the FSL he struck out 5 guys per 9 in a pitchers’ league. He’s got the size and draft lineage in his pocket, so it’s not like he can’t develop. But he’s a shoulder shrug at this point. I agree that it doesn’t look like a “win” for Atlanta, but J-Hey was going to command more than the Braves wanted to pay, so I guess I can see what they were thinking. And Miller isn’t chopped liver. I’m just very uninspired by the move. I think tentatively it would be Bethancourt at C, Gattis in LF, and Justin in RF. Any extension for Heyward? If so then this is a big WIN for STL! I’m not even a Braves fan but wow Ya could had receive a better package for him. I hate defending a Yankee fan, but I think there are a lot of fans (myself included) that like more then just one team. I am a Cubs fan but also follow the Red Sox, Mets, and Rockies closely as well. The Cardinals decided they haven’t had a lopsided trade in awhile, and wanted to fix that. 1 more year of Heyward (they weren’t going to resign him) for 4 years of Miller plus getting $6 million off the books to play around in free agency. It’s not as lopsided as you would think. mid rotation starters arent hard to come by. atl got hosed. If this was 10 years ago, ATL wins this trade. Hitting is the scarce commodity now. You’re dead right. There are mid-rotation guys available all over the place every year it seems, and if you’re not too picky you can grab one or two and let it shake out. And they don’t cost 5 WAR outfielders. On the flipside, ATL definitely wasn’t re-signing him to what he thinks he’s getting paid, so I kinda get that. And we all know how that Cardinals uniform magically unlocks players’ potential and turns them into guys who will take a discount to stay. In defense of the Braves, you have to get something out of Heyward before he’s gone. He’s a great player but the Braves weren’t going to sign him, this was the right move. that’s not really a good reason to settle on a bad trade, though. As much as this is tilted against them, I think I have to agree. How much better are they really going to do than Shelby Miller? Phelps isn’t even close to Miller, guy has never pitched more than 113 innings and has had a consistently lower WHIP and a FIP this past year (and a poor year overall for Miller) that is right in line with Phelps. If Miller performs like 2013 for even 2 of the 4 years, this is a win for the Braves regardless of Jenkins. Come on, Miller > Phelps for sure. That’s a fantastic deal for the Cards. One of the, if the not the best, defensive RF in the game. And extremely good defensive stats. This was a steal for the Cards. Pretty sure they would take those numbers every year if he provides the same defense. He is a 6 WAR player compared to a 1.5 WAR player in miller. This is highway robbery by the cards. But the Braves were not likely to afford Heyward long-term. They’re rebuilding and would rather have Miller for several years than Heyward for 2015. That’s the redeeming factor of this trade for the Braves. They get years of control and the Cards are ready to win now. Cards may be able to afford to extend Heyward, we’ll see there. Heyward’s bat should actually get a bit better playing in St. Louis compared to Atlanta so his value might go up a bit offensively as well. I think Heyward getting to play with real hitters in STL will magnify his positive offensive traits and minimize the spotty power. But don’t you think they could have gotten years of control for a better pitcher? A pitcher who had only a 0.2 WAR in 183 innings? I honestly think the M’s would have given up Taijun Walker for Heyward, that’s how bad they need offense. As an M’s fan, I thought about that – Giving up Walker for Heyward. I wonder if they talked to them about it but Jack Z just doesn’t want to trade Walker for anything (and I can’t blame him, he has the talent to be amazing and is very young). We need offense and have the money – so they say – to get it done in FA rather than trade away young cost controlled talent. I think the idea of having Felix, Walker, Paxton and Iwakuma in the same rotation is really hard to not love. Gotta give up talent to get talent. 5+ WAR players are hard to come by. I agree that rotation is hard not to love, but the Mariners OFers as of now on a scale of 1-10 is probably less than a 1. I would definitely trade My team’s #3 pitcher if it’s in need of a desperate upgrade on offense. You must be thinking in terms of not being great in fantasy baseball. Because he’s pretty damn good in real life baseball. Those stats ignore everything that makes him a great player — good baserunning, elite defense, very good OBP. If they’re not going to extend him, then I can see an argument for Upton> Heyward. If the Cardinals hope to offer an extension, it’s not even close Heyward> Upton. definitely more comfortable giving heyward 7 or 8 years than upton, but I want to see Heyward put up more consistent numbers. I’m glad you’re ok with this theft. I think Braves fans are really over valuing heyward, there are lots of concerns about him. He’s basically a platoon player right now. How so? And I think you guys are overvaluing Shelby Miller. he had a 422 ops against left handers last year. Great OBP inconsistent pop. I like this move but I have some concerns about it. Which is why it’s probably a good trade, both sides feeling like they traded to much likely means it’s fair. Not to diminish your points, but its worth noting that the NL Central has few LH starters. Good point, but with the cards playoffs are pretty much expected. The worry is more for me how will he do in the playoffs when he’s matched up against tough lefty relievers. 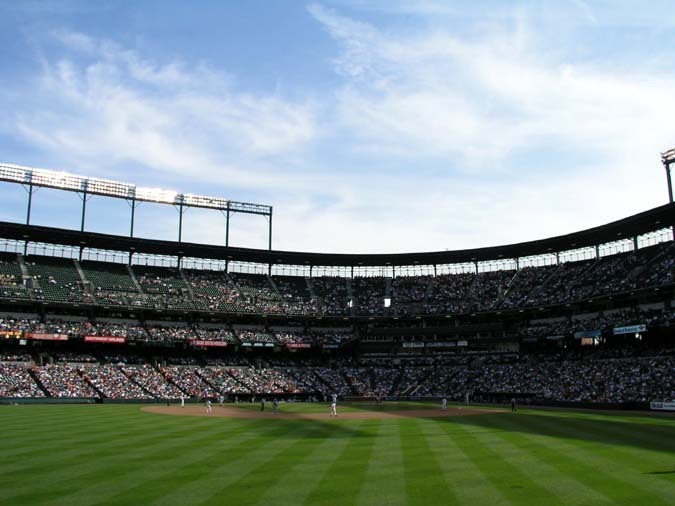 Are you familiar with Wins Above Replacement? Almost completely from his defense. His offense has stagnated. His oWAR and dWAR were both exactly the same last year at 2.8. His wRC+ was 110. Sounds like above average offense to me. Of course I am, but I feel that WAR is a bit skewed when it comes to measuring the defense of corner outfielders. Is Alex Gordon really more valubale than Mike Stanton? WAR is a great stat, but it’s not the end all be all in evaluating players. No one with half of a brain is going to platoon someone putting up 5-6 WAR when he hasn’t even hit his prime, yet. no you don’t platoon him, but you are going to feel the urge to pinch hit for him with those splits. Well a lot has escalated in the past 5 minutes. I would’ve liked him too but we have to many in the OF and so far no one is buying. Wished we could have traded Cespedes for Miller. I’m a bit upset quite honestly that we haven’t done anything beyond signing Koji. Dude you have about 300 outfielders. I wan an OF that can hit and Heyward is medicore ATM. so is this a one time thing or r the braves in a full rebuilding mode? Welcome to the Braves way. My gosh. What an awful day for Braves fans. Awful day. Heyward is overrated. Equal trade here. You might want to look up the word equal. The Cards clearly won this trade. I am angry and jealous. The Mets should have made this deal for Heyward. They needed a right fielder more than anyone, they had the pitching to give up. Make it happen. Give the Braves Wheeler for Heyward straight up, they can keep Walden. Would be a terrible defensive OF. When in reality, both of those guys could be on different teams next season. Exactly, Bowden is hardly all-knowing. This is why you don’t listen to Jim Bowden. Upton will be moved and it is likely Gattis will be too. As a Braves fan, I have to hope Hart knows what he’s doing… He has a great track record. I think the Braves chose to go with Justin Upton. He’s only a year older and proven to be a better hitter and no inury risk. terrible defender, though. overall, he’s less productive. No. Heyward’s people have told the Braves since last year exactly what they wanted and the Braves knew all along they would not be able to extend him. As a Braves fan, the ideal situation would have been for Heyward to sign long-term. He made it clear that he wanted to be a free-agent, not be the hometown hero. The Braves had to get someone who could help the rotation long-term, and I think Miller can be that guy. With that said, the Braves should have gotten more from STL. This is a win for the Cardinals, and now I have to listen to this crap from Cardinal fans…(I live in Arkansas, 3 hrs from STL). I really really dont like this trade but guess Atlanta will try to keep and extend Justin Upton. IDK, this trade kind of signals the start of the Braves going into rebuild mode. They can’t expect to get elite prospects for Upton if the best they could get for Heyward is a back of the rotation starter. Welp, there’s little to no reason to watch the Braves this year. Jason was gone after the 2015 season, and would ask for a ridiculously high long-term contract. 200+ million for a 110 wRC+ player with superb defense isn’t worth it, IMO. Shelby Miller also won 15 games at 20 y/o. I say this trade is even even though the Cards fans think its highway robbery. As a cards fan I don’t see it that way. I think Miller turned a corner at the end of the season would have much rather given up Martinez. Yeah, I’m a Cards fan and I like it. I think we’ve seen the best of Miller. I realized we might be going the rebuild route, but this is just shocking. I thought he might be traded but not this quickly and for pitching…when we obviously need bats. He is an absolute fan favorite. Color me a really sad Braves fan. The harsh reality of this move will take some time to get over. We’re just so used to winning and flopping in the playoffs, and now we don’t get to do either. The Braves got robbed, If you are going to make a trade you must sure to get a = value otherwise don’t make the trade. Don’t me wrong I like J-Hay. My heart went out to him when he took one in the face but I don’t think he is an amazing outfielder. well sir who would u have preferred? I was must making a point that I don’t think its a landslide win for the Cards. He is one of the best outfielders in the games in terms of defense. Only maybe Lagares, Bradley, and Cain are better than him and that’s stretching it. 3 CF’s. Defense may win out in CF but not on the corners, which is where Heyward will play. 5 WAR player in 2014, 6 WAR player in 2012 — not sure what your definition of “amazing” is but he’s pretty darn good. Jason is going to ask for far too much $$$. Not worth it for a slightly above average hitter with a great glove. I actually like this trade for the braves.we get two pitchers that could be a top 3 rotation pitcher.we are rebuilding. If i turned on force trades in a video game, it would still probably block this trade, Cardinals 100% robbed the Braves. Jason is overrated, Braves have enough glove only players. Shelby Miller is overrated too. When has Heyward ever asked for $200 million? And if he hasn’t, what makes you think he will? I can see him definitely getting $100 million. I’m sorry but no team is going to offer Heyward $200+ million. That’s ridiculous. The guy has been an All Star once and has only been on 2 MVP ballots, the highest finishing 28th. A very good player overall but certainly not one of the game’s best. Though I still think this is a great trade for St. Louis. Career 117 WRC+ is pretty nice for a glove only player. 21 WAR at 25 years old. Yes please. Not worth 200 million, bro. He also hit around .160 against LH pitching last season. We will worry about paying him $200MM if somehow that happens. It’s possible Miller wouldn’t have been one of the top 5 SP on the team, so that is fine. I was just thinking that, Miller is our number 5 starter right now. He has potential, but he’s still our number 5. It’s a fair deal all around. Its usually only a one year rental when we decide its a one year rental. We will. We’ve got plenty of depth to replace Miller in the rotation and two very good OF prospects to take over for Heyward in 2016. Well, didn’t see this one coming. I just wonder why the Braves took this deal. This can’t be the best offer they received for him. Can someone please take John Hart. I am sure his son Tom Hart who happened to be the Braves broadcaster can do a much better job when it comes to making a trade. Gattis would be the worst defending outfielder in Baseball. Offense was their problem in 2014 and they just made it much worse. I am inspired now! I want CarGo from the Rockies! Don’t know why you are still so eager to give up young talent for a Coors product who rarely plays 2/3rds a season. I’m surprised by Braves fans’ reaction to this. They act like Miller is trash. 24 years old with a 3.33 ERA over two seasons. I actually think it was a lot to give up for a rental and a reliever, especially since Heyward hasn’t shown much power. So much for a slow Monday at MLB offices, huh? wren would have never made this trade. Which instantly means this is a good deal. Wren actually made some outstanding trades. Which led to all of our playoff series wins. Cards fans….wait until you have to watch Heyward for a full season. Even his good offensive stats are overblown. Best defensive RF…absolutely. But he has a history of injuries and as Braves fans can attest, is a the PERFECT model of inconsistency. Waaaay too streaky to stay at the top of an order. And he’s going to ask for way too much for an extension. After watching him the past two years, I’m fine with Miller and a prospect. Best of luck to J-Hey, I hope he finally lives up to his potential. His offense is still a lot better than what we suffered through in RF last year, and we’re not looking to extend him anyway with our outfield prospects almost ready to take over. If he’s too streaky to bat at the top of the order, he can bat 7th while Carpenter and Wong continue to bat 1st and 2nd. Bad choice for braves. And I’m a die hard braves fan. Eh. Heyward is a very good defender in RF. Gets on base. Would you rather us get NOTHING when Jason inevitably leaves in 2016? We could have got more for him. Die hard fans usually know the least about what is best for their team. I like this trade as a Nats fan. Braves are diminished. For 2015, Braves should def be weaker. Glad to hear it. One less team to worry about next year. Looks like Nats, Mets, Marlins competing in the NL East in ’15. Braves will still always throw out a quality staff. Just don’t see where the offense is coming from. I don’t see what quality pitching they’ll have. The whole staff is coming off rehab and Shelby Miller isn’t great. Teheran, Wood, Miller can be a decent young cost-controlled top 3. So let see the Braves traded away one of the best RF in the game today they also got include Jordan Walden who outstanding and in return the Braves got a OK pitcher and some A pitcher. The Braves should have never made this kind of a trade. you got 4 years of Miller for one year of Heyward. Miller’s trajectory is on the way up, he really turned the corner at the end of the year. You’re getting a good pitcher. And Jenkins has a lot of potential. It’s not a bad deal. Hayward just for his defense the Braves should have got Miller and a bat for him. not for 1 year of him.